The 550 Barchetta built and designed by Pininfarina and commissioned to be built by Maranello as a limited production model by Ferrari to celebrate the 70th anniversary of Pininfarina. Today it has become a highly sought after modern collectors’ piece. The car was intentionally designed to be provocative and more extreme than the rest of the range at that time and as such, only a limited number 448 Worldwide would be built during 2001. Each car was individually numbered and custom built which features a plaque with the car’s serial number and Sergio Pininfarina’s signature. Our car No: 197 is finished in Grigio Titanio with Blu Scuro hide. 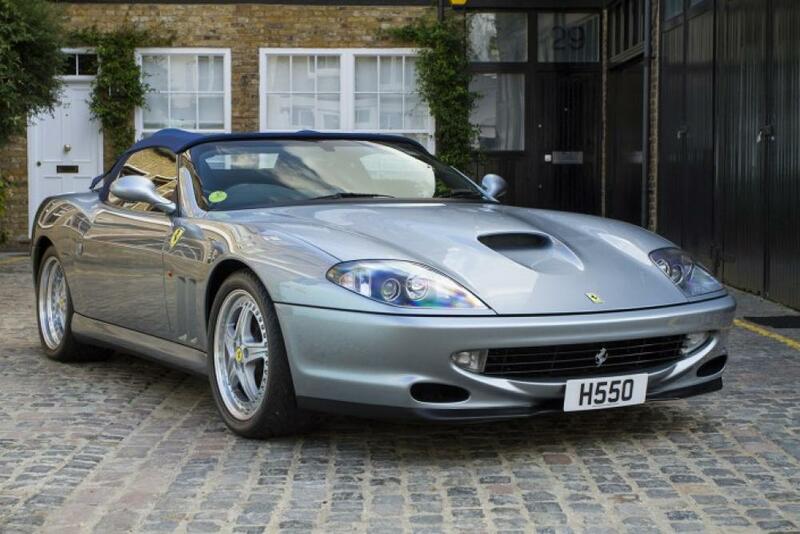 Sharing the same mighty 5.5-litre engine as the 550 Maranello, the V12 delivers an awesome 485bhp at 7,000rpm. Unsurprisingly, performance is astonishing with the Barchetta hitting 60mph from rest in only 4.4 seconds and boasting a top speed of 186mph. The Barchetta is one of the most underrated Ferrari road cars ever made and without doubt a highly collectable contemporary model in today’s market place. A unique opportunity to acquire a very rare, ultra-low mileage special build Ferrari presented in concours condition which is without doubt a modern day Classic at a very realistic price.